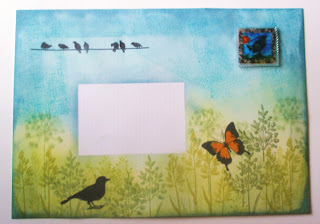 Thought I'd have a play with some mail art for Crafty Individual's Monthly Challenge with the theme Free as a Bird. The photos are not good for some reason - maybe the impending thunderstorm had something to do with it. 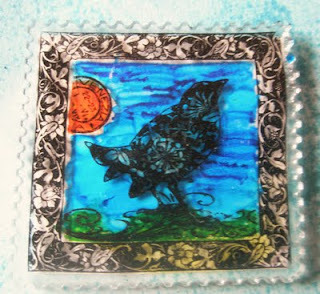 Anyway I used Crafty Individuals bird CI 180 to make the postage stamp on shrink plastic - it's coloured with promarkers and then cut out with fancy scissors to give the perforations. 7gypsies - bird and butterfly from the Nottinghill Set. Guess I'll have to take the stamp off to use the envelope - just got to wait for the next birthday and we'll see if Royal Mail like it!! Wow, something I have never heard of! 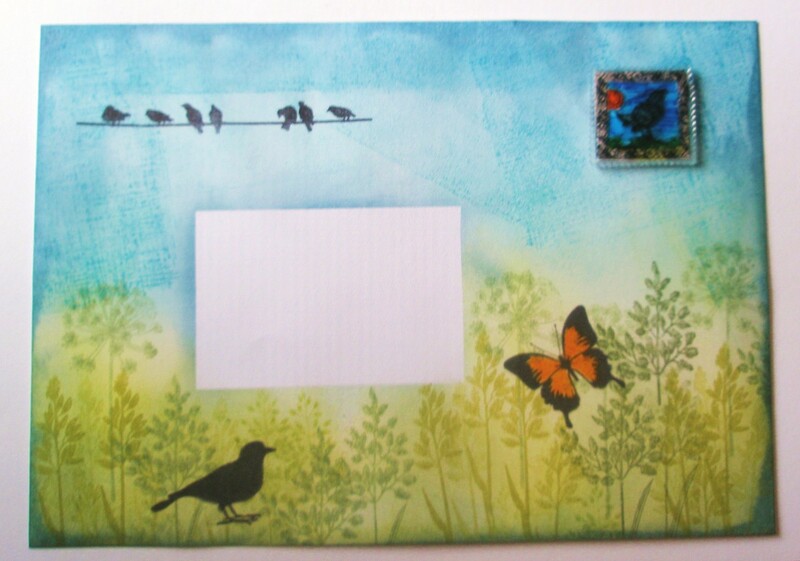 Mail Art, what a lovely idea. It is so clever. found you again! this looks lovely congratulations. 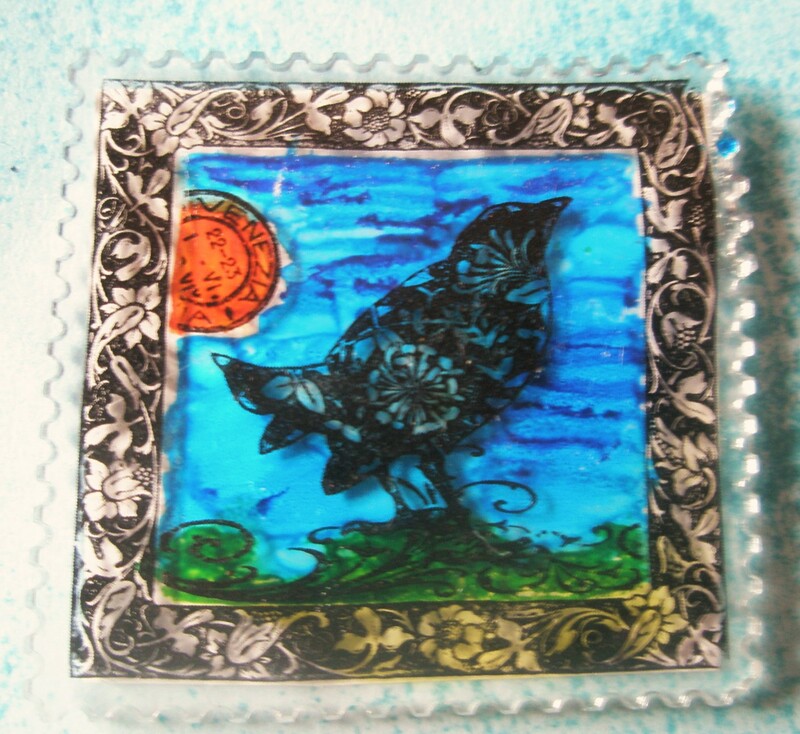 How unusual the shrink plastic stamp. I like that.